BBC Charter Review and children's content: beware the Trojan horse! The Green Paper’s proposals for children’s programming should ring loud alarm bells – for children, parents, and for the future of the BBC itself. That statement combined with a question about whether funding should be protected (or ring-fenced) and made available to others rings very loud alarm bells – both for the future of the BBC and by extension also for children’s content, because however those who argue for it label it, the Green Paper explicitly asks ‘whether there is a case for alternative providers to be able to access an element of this funding’ [i.e. licence fee income]. A children’s production industry letter, published on 14 September in Broadcast, wants to maintain the current BBC children’s budget, but also raises the issue of contestable funding. The letter is somewhat ambiguous and without addressing alternatives, it may, even if unwittingly, strengthen the argument for top-slicing, and this is questionable on several counts. First, it is debateable under the Charter whether governments should really be deciding how an independent BBC should spend licence fee funds. Who decides what needs ring fencing and by how much? Who decides whether the BBC should stop making Match of the Day or The Voice (incidentally programmes that children and adults enjoy together, because two-thirds of children’s viewing is of non-children’s programming)? If governments of whatever persuasion start to determine what content the BBC should spend money on, then this will not stop here, diminishing the BBC’s independence and confidence over time, as both popular and market failure content is stripped away. Second the problem afflicting local children’s production is a global industry problem, not just a BBC problem. 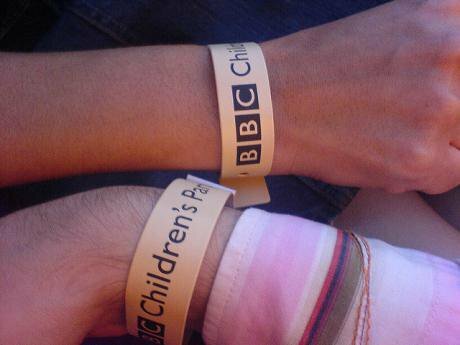 That statement about the BBC having a monopoly over children’s programming is simply not true. It does makes 88% of UK-originated programming, but that’s because commercially-funded players simply won’t commission much, not helped by policies that have included a ban on advertising for junk food since 2007 and the removal of children’s quotas for commercial PSBs (ITV, Channel 4, Five) in the 2003 Communications Act. Third, the way that contestable funding is being pushed in the Green Paper will lead inexorably to top-slicing to pay for it; and that diminishes financial provision for the whole production industry, for whom the BBC is their biggest commissioner. What are the other options? Nobody has told us: Lottery funding, the Arts Council, levies on commercial players, the Treasury, reintroducing quotas for commercial PSBs? None of these options are being seriously considered. Even disregarding the complexities and costs of administration and ensuring that such a fund delivers on value for money and public service values, who is going to commission and curate content for this fund? Some proposals suggest that “commercial PSB broadcasters” (no mention is made of new players) are going to match fund when commercial PSB spending has shrunk to about £3m a year. Yet should the licence-fee payer subsidise wealthy organisations, which don’t produce children’s programming now because they see no commercial market for it? The proposals seem tied to linear TV, and even if someone does make it, what makes anyone think you can force ‘broadcasters’ or others to take it and promote it, and nurture it? The evidence for contestable funding in other countries - notably New Zealand - is not good on this count. Fourth there are issues at the BBC about the transparency of commissioning and the role of in-house production. But the danger is that over time contestable funding would turn the BBC into US style PBS – starved of funding, good programming and ultimately audiences. Would it not be better for independent producers and their representatives to look more closely at the sourcing of programming, pressuring the BBC to open up more commissioning to competition, where independents are beating in-house producers hands down with 62% of the 50 per cent of hours that are open to competition (WOCC)? Would it not make more sense to push for tighter BBC Service Licences in terms of levels of funding and the delivery of particular sub-genres like drama? However, these are things that must not be imposed by governments through the manipulation of funding. The BBC needs to put its own house in order. In a children’s production industry that is really suffering more from the onslaught of global competition from US-based transnationals and new players (YouTube, Netflix), when someone says “Here is some money right now – Please take it”, it is enormously tempting. However, contestable funding, which as framed in the Green Paper will lead inevitably to top slicing is not the long-term answer; and it will be the start of the end of the BBC as it is shorn over time of both its popular genres like drama and entertainment and its market failure offerings like arts and children’s. Politicians just won’t be able to resist taking another piece. The crisis in the children's production industry is real, but less is heard from parents and children who are not complaining about an advertising-free children’s service that still offers a range of output including UK news and drama. The Green Paper provokes little discussion about what a public service commitment to children means, and not just in television, but across a variety of platforms and services – because without that connection to a broad range of quality content, children will see no need to engage with the BBC as adults and may have abandoned it by the time the next Charter rolls along in 2025. Contestable funding is the thin end of the wedge, and those who wish the BBC to continue as a key player in the cultural life of this nation should beware, however tempting it is in the short term. This piece is based on a contribution to “Staring into the Abyss: Where will Children’s TV be in 10 Years’ Time? Public service, plurality and personalisation”, which took place on 3 September 2015 as an event organised by the University of Westminster, the Voice of the Listener and Viewer, and the Children’s Media Foundation.